Need help with Plumbing - Emergency Plumbing & Plumbing Repair Installation we are here 24 Hours a Day 7 Days a Week. It's a rule of thumb that a clogged sewer line can be a problem, but if a broken sewer line is not fixed, repaired or replaced, it can quickly becomes a disaster. The traditional sewer line repair requires a heavy digging using backhoes, excavators and other heavy equipment and can result in a seriously torn up landscape. However, Mr. 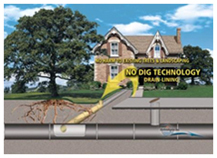 Rescue's trenchless technology for broken sewer line repair will get the job done without any major damage with a very minimum digging. 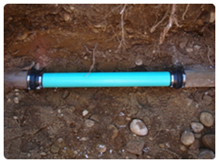 Although it does work in every cast, most broken sewer lines can be fixed using trenchless repair techniques. That's a Mr. Drain promise we fix it right first time saving you a lot of money that other plumbing company will not offer. What people are saying about Mr. Rescue Plumbing & Drain Cleaning of Sunnyvale ? 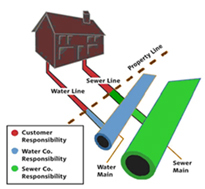 Why Sewer Lines Break There are many reasons for sewer or a drain line blockages. The line may have settled, it may have become disjointed, the line may have been crushed, punctuated or broken. Tree roots are usually the main cause of damage. Constantly seeking moisture, tree roots find their way into your sewer line and over time can cause a major blockage and even rupture the drain line. The other possibility are belly, the improper or no slope at all in the sewer line this results the sewage siting in pipe and results in leaks from joints and sewer pipe comes apart from joints, the dirt goes in and becomes a collapsed pipe. A clogged sewer line is more then a serious problem, one that you want fixed fast and fixed right. Our professional plumbers at Mr. Rescue Plumbers can handle any sewer line repair or replacement. Ask the Experts The first step that a Professional Mr. Rescue Plumber will do is to find the root of the problem by performing a video sewer line inspection. A small, video camera is pushed through the line allowing a Mr. Rescue Expert to visually inspect and evaluate the sewer or drainpipe and locate the cause and the point of the blockage. Once an accurate diagnosis is done, we will review the problem with you and determine the best approach to your sewer line repair. The questions arises Whether it's a simple repair or major replacement, we'll explain all options and provide you with upfront pricing so you know the exact costs involved before we will start any work. There is never a over time charge for nights, weekends and holidays. Our experts are available 24 hours a day 7 days a week around the clock. If you're experiencing a clogged or a backed up drain or other drain issues call us immediately, we'll quickly respond to your any sewer emergency and get things working properly with out any interruptions. All work will be done up to your satisfaction with a lifetime warranty. Trenchless Sewer Repair by Pipe Lining The second solution that Mr. Rescue Plumbing offers is to fix the broken or collapsed sewer pipes is by installing a new physical inner pipe lining also called epoxy lining. Mr. Rescue pipe lining is a process of Trenchless - Trenchless Technology - Pipe Lining - Perma Lining - Pipe Rehabilitation - Epoxy Lining - Drain Lining - Sewer Lining in which the new special long fabric tube that is being wet or saturated with a reisn that hardens itself with in a time period of 2 to 4 hours. Now the question is what size of the existing is left after this process is done? Don't be panic the new Mr. Rescue Inner pipe line reduces the pipe diameter by about 5%, so the drain flow is not affected, and you have a life time warranty on this pipe lining. It stays until you keep the house and is transferable to your kids when they inherit your house. Spot Repair The third solution that experts at Mr. 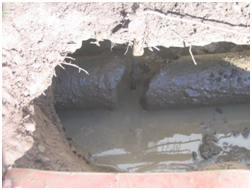 Rescue Plumbing & Drain Cleaning offer is a spot repair on the broken or cracked sewer pipe. How it works is our expert will use a video camera to find the problem part of pipe the camera have a snood also called a radio frequency transmitter which tells the depth and the exact point of fix. Then our expert will explain you the warranty , the whole process and the time period required for the whole process. After the approval the pipe is trenched now spot repair is only fixed by a trench not by pipe bursting or pipe lining. 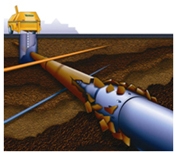 Once the trench is open the broken or collapsed pipe is exposed the pipe is cut from both ends joints are cut very fine and a new piece of pipe is connected with the old pipe by using the no hub couplings or mission bands. If you get involved in this situation then you should contact Mr. Rescue Plumbing & Drain Cleaning . There is only one call to make for Sewer Repair. Mr. Rescue Plumbing & Drain Cleaning has been repairing, replacing and servicing sewer lines and doing sewer repairs for years. The work is always guaranteed and you know the price before we start. There is never a over time charge. One call fixes all. and the Regular Maintenance of Your Sewer System.